Chicago is usually thought of as a meat-centric city , but there is a choice of restaurants offer excellent vegetarian fare, from charming bakeries and cozy sidewalk cafés to a triple Michelin-starred tasting menu. 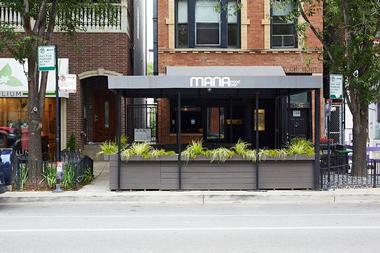 Here are some of Chicago’s best spots to savor a meat-free meal. A Chicago stalwart that even non-vegetarians know well, Chicago Diner has been “meat free since ’83” as they tout in their slogan and has become a time-tested favorite for delicious vegetarian and vegan cuisine. The expansive menu has something for everyone, from Portobello truffle melts oozing with vegan mozzarella to classic or quinoa chili served with jalapeño corn fritters, diced tomato and onion, sour cream, cheese, and avocado. Meat-free gyros, Cuban sandwiches, and country-fried steaks are also on the menu, as well as the diner's signature sandwich known as the Reuben, which features corned beef seitan, cheese, sauerkraut, peppers, grilled onions, and a vegan thousand island dressing on freshly baked rye bread. The original Halsted Street location and its Logan Square sister restaurant are open for brunch, lunch, and dinner every day of the week. 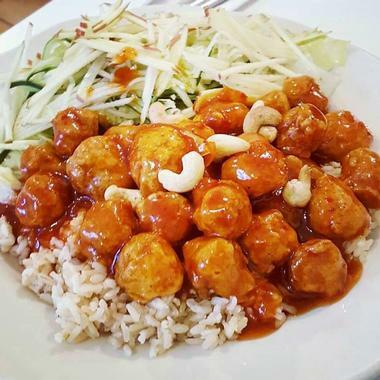 Formerly known as Loving Hut, Alice & Friends’ Vegan Kitchen is part of an international chain of vegan franchises owned by Supreme Master Ching Hai that serve delicious vegan and vegetarian cuisine in a sleek, minimalist setting. 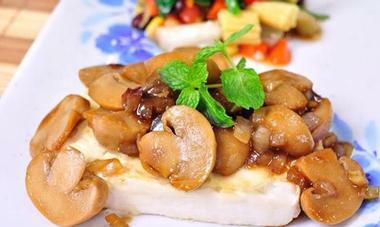 The creative menu features a variety of healthy dishes, ranging from pesto quinoa with shiitake mushrooms and Taiwanese-inspired eggplant with San Bei Ji sauce. Signature plates include pan-fried or steamed dumplings with tofu, shiitake mushrooms, carrots, and broccoli, and a good Won Ton Soup filled with tofu, vegan ham, onions, garlic, leeks, carrots and sesame oil. B'Gabs Goodies prides itself on offering the highest quality gluten-free, soy-free, raw, and cooked vegan foods, which are packed with enzymes, nutrients, vegetable based proteins, and vitamins. Everything is beautifully presented. The vegan and vegetarian restaurant promotes and values the practice of clean living by using only local and organic products when available to produce delicious, healthy meals. 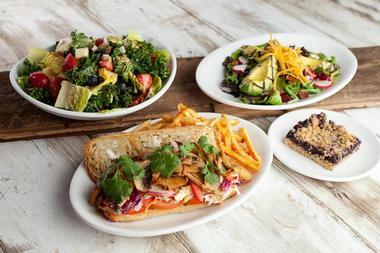 Raw entrées include tacos, burritos and vegetable sandwiches, cooked main courses feature quesadillas, curried lentils and stir-fry, and wholesome sides range from zucchini olio to spicy cucumbers and jicama fries. B'Gabs Goodies is open for brunch, lunch, and dinner from Tuesday through Sunday, with late night closing over the weekend. Founded by savvy foodies Carole Jones and Polly Byrd with the aim of raising awareness of the amazing benefits of eating raw foods, Chicago Raw serves a variety of high quality, fully uncooked, 100% plant-based products, and plates. Delicious dishes include collard burritos, spinach lasagna, fresh ravioli, and sweet potato pancakes, while sweet treats range from a decadent carrot cake packed with apricot, walnuts, fresh carrot, and cinnamon to homemade coconut macaroons with shredded coconut, almonds, and vanilla. Chicago Raw is open from Monday through Saturday for breakfast, lunch, and dinner and is closed on Sundays. A small plates spot owned and managed by James Beard Award-winner Shawn McClain, Green Zebra offers Chicago vegetarians an upscale and unforgettable dining experience. The moss-colored, Asian-tinged house of Zen presents a menu of seasonal dishes prepared with fresh, locally sourced ingredients, ranging from organic duck egg with smoked potato puree and woods mushroom paté with garlic scape mostarda to blistered shishito peppers, Iroquois white corn grits, and squash risotto. Diners can choose from a prix fixe experience or an extensive a la carte menu, but shouldn’t miss the signature poached hen egg with smoked potato purée and parsley with country sourdough. 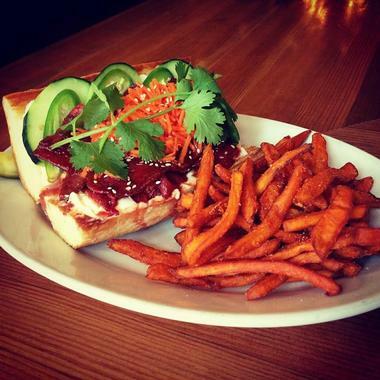 Green Zebra is open for dinner from Tuesday through Sunday and closed on Mondays. The trendy go-to spot for made-from-scratch vegetarian and vegan comfort food, fair-trade coffee, and freshly baked organic treats, Handlebar is packed on most days with local Wicker Park hipsters enjoying breakfast, lunch, or dinner. The menu features vegetarian delights like pepita scrambled eggs, veggie chili mac and cheese, meat-free buffalo “chicken” wings, and the signature fried avocado tacos stuffed with cabbage slaw, refried beans, queso fresco, fresh tomatoes, and house-made salsa verde. Named for the multiple bike racks out back, the laid-back, friendly restaurant sees eco-minded folks chatting over tasty vegan fare and sampling from the extensive list of different drafts. Renowned for her 100% organic, vegan, and raw cuisine, Karyn Calabrese turns up the heart with her latest addition to the fold: Karyn’s Raw. Still offering a menu of organic vegan and vegetarian dishes, the restaurant serves conscious comfort raw food such as house-made empanadas, chunky nachos, peanut Asian style noodles, crêpes, mouthwatering vegan tiramisu, and more. Diners can enjoy a range of organic wines and beer with their meals and kick back on a Sunday with a long, lazy brunch. Karyn’s Raw is open every day except Monday for brunch, lunch, and early dinner. 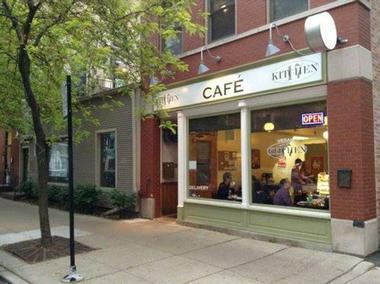 Kitchen 17 is a casual, laid-back vegan café in Lakeview that focuses on house-made seitan-based vegetarian and vegan fare in a friendly, inviting setting. The cozy restaurant offers a menu of simple yet delicious food ranging from nachos, hummus and toasted pita bread, artichoke dips, and hearty burgers with a variety of toppings to gyros, barbecue sandwiches, Philly cheesesteaks (sans the steak), and refried black beans. A weekly selection of mouthwatering desserts includes cupcakes, freshly baked cakes and homemade fudge for a sweet ending to your meal. 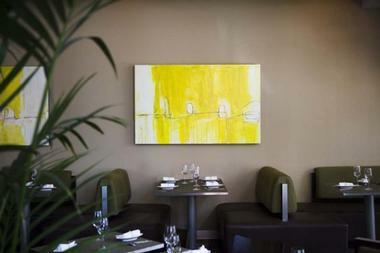 Kitchen 17 is open on weekdays for afternoon tea and dinner, weekends for lunch and dinner, and is closed on Tuesdays. 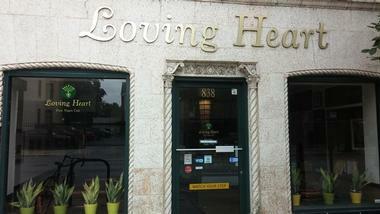 Loving Heart is a charming café on Montrose Avenue that serves 100% vegan and plant-based fare. The friendly eatery offers a menu of freshly prepared seasonal cuisine made from locally sourced organic ingredients such as potato and kale soup, a selection of burgers and wraps, rice and grain bowls, and sharing plates of nachos and summer rolls. The Green Deva Salad is a house favorite and features organic spinach and romaine lettuce, avocado, red bell pepper, cilantro, seaweed, roasted peanuts, and homemade green ginger pesto. Loving Heart is open from Monday to Saturday for brunch, lunch, and early dinner. Mana Food Bar is a shoebox-size meatless mecca with dark booths, chunky wooden stools, and soft, lighting to complement the Korean-influenced vegetarian-friendly menu. This friendly, Wicker Park restaurant satisfies diners with a selection of globally-inspired options ranging from green curry or sesame noodles, gyoza, and bi bim bop to fresh Panzanella and brown rice mushroom sliders, which are delivered to almost every table in the house. Don’t miss the creamy polenta with sautéed mushrooms and finish off with cucumber Sakerita or homemade ice cream. 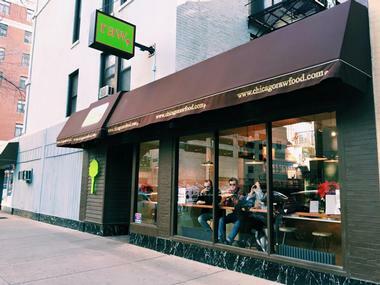 Native Foods Café is a fast-casual vegan restaurant chain that operates around the country and serves a menu of hearty meat-free fare. Set in various locations around Chicago and open for breakfast, lunch, and dinner, Native Foods Café features a menu with a variety of options for every taste, from award-winning Ensalada Azteca and bold and tasty Buddha Bowls to Twister Wraps and Native Chicken Wings and Nachos. Sweet treats for dessert include Oatmeal Créme Pie, and Peanut Butter Parfait, along with freshly brewed Fair Trade coffee and a selection of organic beverages and other drinks. 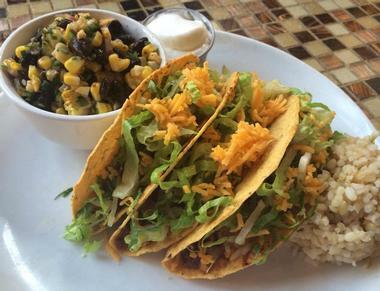 Native Foods Café is open for lunch and dinner every day of the week, Monday through Sunday. 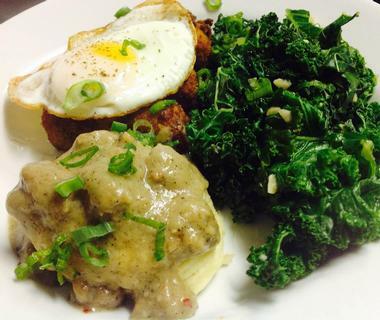 Upton’s Breakroom is a casual café that serves light vegan fare in a bright, modern setting. 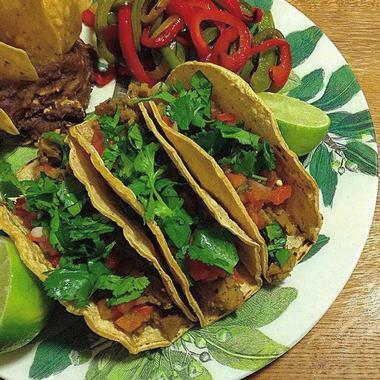 Located next to Upton's Naturals seitan factory, the charming little restaurant offers a small menu with a variety of seitan-based dishes such as chick seitan Korean tacos, pastrami seitan sandwiches, bowls of rice, kale, warm seitan chunks, and bright-green nut pesto, and vegan soft serve. 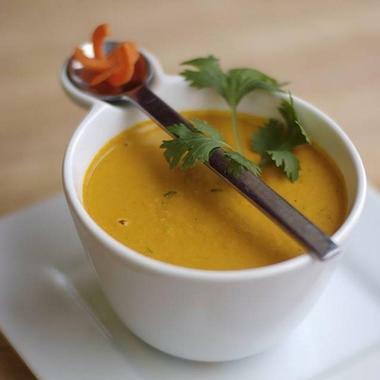 Blending natural textures and flavors to create an innovative and satisfying menu, Upton’s Breakroom is the ideal spot for a quick lunch or a languid dinner of exotic vegan fare. Upton’s Breakroom is open daily for lunch and early dinner. 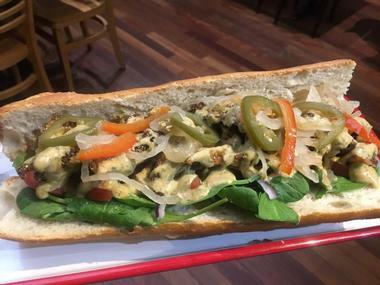 Urban Vegan Chicago is a vegetarian and vegan eatery that serves authentic Asian and Thai fare with an international twist. 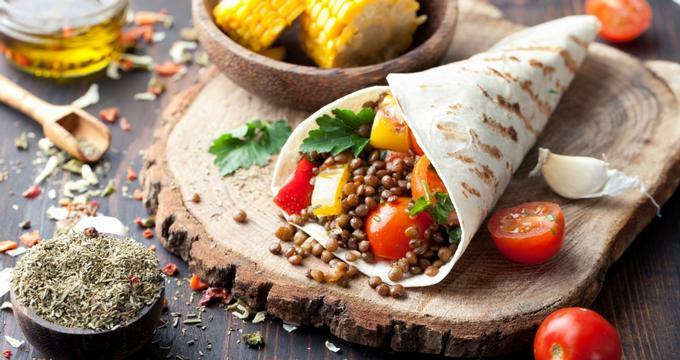 The menu features vegetarian meat alternatives that are healthy and tasty, prepared with the highest quality meat-free and organic ingredients and products, and created from original recipes from every corner of the vegan lifestyle. Signature and favorite dishes on the menu include cashew nut stir-fry, spicy eggplant with sweet basil, Pad Thai rice stick noodles with bean sprouts, red and green Thai curry, lentil loaf packed with a variety of vegetables and spices, and spicy noodles. Urban Vegan Chicago is open for lunch and dinner seven days of the week, and food can be enjoyed in-house or taken away.